Receive $1 shipping on Teeling. Use code SHIPTEELING upon checkout. Expires Sunday, March 31, 2019. Cannot be combined with any other promotion. Teeling Single Grain Irish Whiskey is a wholly unique style within Irish whiskey pushing the boundaries of convention. Although many Irish blends contain a corn element, our mission was to create a unique flavour expression by focusing exclusively on corn. By fully maturing this spirit in ex-Californian Cabernet Sauvignon casks, a highly distinct red-berry and tannic profile is imparted that is balanced perfectly with the underlying sweetness from the corn. Bottling at 46% with no chill filtration completes this whiskey of true character. 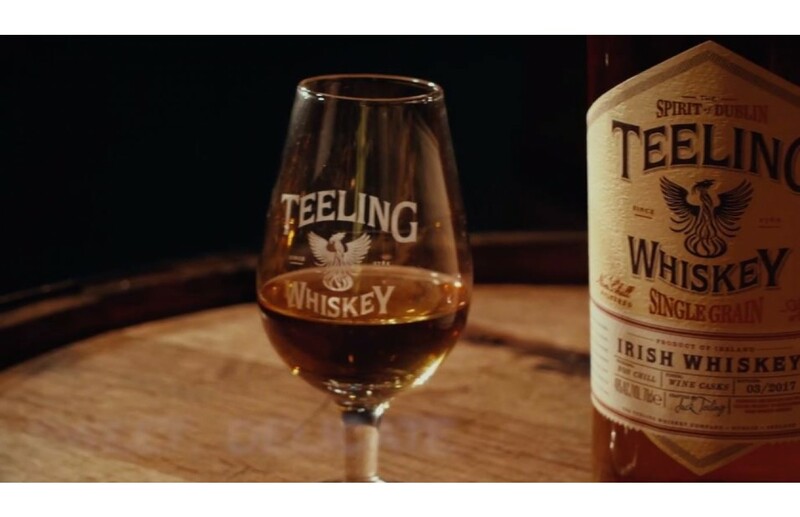 Teeling Single Grain was voted “Best Irish Single Grain” at the 2017 World Whiskies Awards. Distinct red grape and berry profile, with a hint of spice and an underlying sweetness. A silky smooth mouthfeel, with a touch of spice and deep berry notes that balance the sweet undertones. The tannic influence of the red wine creates a unique, short, dry finish, encouraging another sip. We are a Dublin Distillery, and Dublin is where we do things differently. Innovation is in the fabric of our city and family, and in all things we do, we dare to be different. The Teeling family is dedicated to bringing choice and breadth back to Irish whiskey through small batch releases of interesting and flavoursome bottlings. We are reviving the Spirit of Dublin in our new distillery in the heart of Dublin city; a mission that is embodied in our award-winning range of unique and innovative Irish whiskeys.